ATR delivered eight aircraft in 2017 and plans to deliver a further 12 by the end of this year. 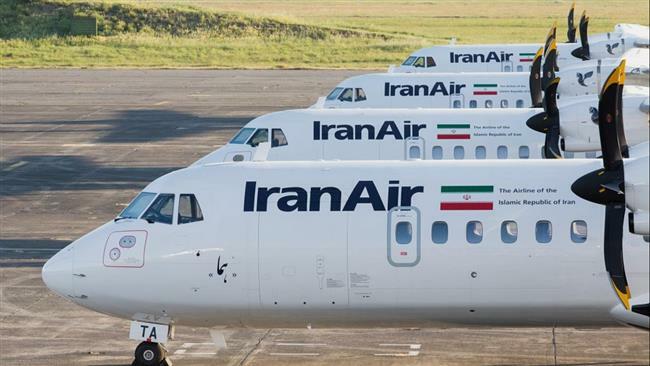 Franco-Italian planemaker ATR says it hopes to weather the storm from a new deterioration in US relations with Iran, which could affect business with Tehran. The turboprop manufacturer has a deal with flag carrier Iran Air for the delivery of 20 ATR 72-600 passenger planes. ATR delivered eight aircraft in 2017 and plans to deliver a further 12 by the end of this year. Iran Air’s deal with ATR includes options for a further 20 aircraft and a training program for Iranian pilots and engineers. The deal was struck following a 2016 nuclear agreement with Iran, which US President Donald Trump is refusing to implement and has threatened to wreck all together. The US administration has also imposed new sanctions on Iran in violation of the nuclear agreement, which have jeopardized deals with Tehran but ATR CEO Christian Scherer hoped they would not hinder his company’s business with the Islamic Republic. The 70-seat ATR planes are aimed at underserved local economies, used in flights over a maximum distance of 1,528 kilometers. Iran is operating them to revitalize domestic routes, covering a populous crescent straddling Iran’s northwest and northeast. “This regional development is very powerful for them and it’s frankly very benign from a geopolitical and security aspect,” Scherer was quoted as saying. “So we are hopeful at ATR that our business opportunities with the Iranians will go unchallenged,” he added. Iran is also renovating its aging fleet for international or long-distance flights under deals signed with Airbus and Boeing to buy a total of 180 passenger jets. The country has received three Airbus jets in 2017 – one Airbus A321 and two Airbus A33 – and was due to get another by year-end which did not come through. The first Boeing is due around May 2018. The deal with Boeing, signed last December, is for the purchase of 80 passenger planes. In January 2017, Iran Air also signed agreements to buy 118 planes from Airbus, before cutting the number to around 100. Given the type of the orders, the total value of the three contracts for the purchase of 200 aircraft from Airbus, Boeing and ATR is less than $18 billion.